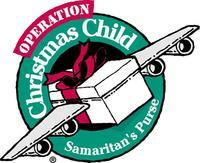 Operation Christmas Child is a part of Franklin Graham's Samaritan's Purse ministry. FBC is excited to again partner with OCC in not only allowing gifts to be given, but Gospel presentations to be made, around the world! VOLUNTEER: FBC will be a shoebox dropoff location in 2016! This presents a need for volunteers to be available. We need volunteers to be available during the hourse posted on the website. If you can volunteer, please contact Debbie Andrews. HELP A CHILD PACK A BOX: FBC will have its annual "Packing Party" for our Childrens Ministry. We will explain to the kids what the shoebox is for, help the kids pack them, and then pray over each box. We need a 1-to-1 ratio of adults to kids! PACK A BOX: Not only are our kids packing boxes, but our adults are too! We encourage each member, each family, each Sunday School class, each ministry, etc. to pack shoeboxes! Have fun with it, turn it into a competition between Sunday School classes, men vs. women, etc., or maybe even an Alabama/Auburn competition... all for fun & for the Gospel! OCC MISSION TRIP: In 2016 FBC will be going once again to the actual OCC Processing Center in Atlanta to volunteer. Actual dates will be confirmed in October. If you would like to go, or for more information on this mission trip, contact Debbie Andrews. PRAY: Each box that is packed at FBC, along with millions of other shoeboxes from across North America, they will be delivered to the areas designated, and millions of children will have the Gospel of Jesus Christ presented to them within these boxes. Pray for a harvest, but also pray for safe & secure delivery!